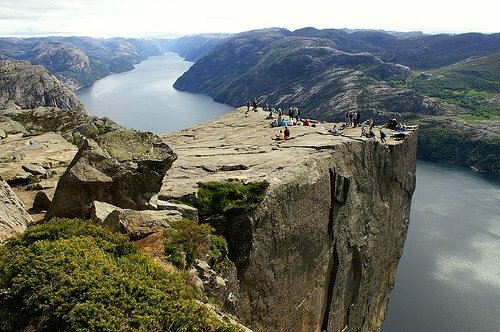 Pulpit Rock, or Preikestolen, is located near Stavanger, Norway, about 208 km or 4 1/2 hours south of Bergen. 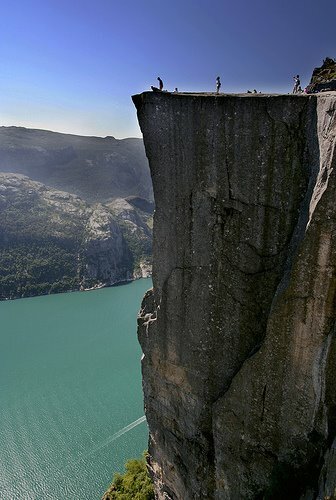 Not for those with acrophobia as it rises 604 m above Lysefjord, but if you don't mind heights, the view is incredible. If you are considering a visit to the rock, Stavanger Travel has a nice description of the two hour hike to get there.